The "riots people" will destroy Morrocco like all Magreb. 3 March - Despite a police crackdown on protesters last weekend, the organisers of the pro-democracy protests in Morocco urge to create a new momentum by taking into the streets each Sunday. After mass demonstrations on Sunday 20 February, the Moroccan pro-democracy protest movement seemed to lose momentum last weekend. To some degree, the calls for protests for both Saturday and Sunday (26 and 27 February) had caused confusion, as an unclear and uncoordinated protest leadership was unable to communicate to Morocco’s many cities when the "big" protest was to be held. But the loss of momentum also came as consequence of government suppression. While the 20 February protest marches had been allowed, local authorities and police on short notice forbade all protest marches last weekend. Attempts of gathering crowds were brutally dispersed in a large number of cities, except in Rabat, the capital. But one of the main groups behind the protest movement, the Moroccan human rights association AMDH, already on Saturday last week made an urgent appeal to Moroccans to keep on the protests. "From now on, we will organise protests every Sunday," AMDH leaders announced in Rabat. But the protest movement in Morocco faces serious communication challenges. Moroccan media, after the 20 February marches that caused six deaths and 140 injured, have been ordered a complete news blackout on any follow-up protests and protest calls. Only the Casablanca-based online media ’Yabiladi’ has dared to break the silence. Even on an international basis, the Moroccan regime is close to win the propaganda war over the protests. The official version of "looting criminals" causing trouble on 20 February and of a subsequent end to the protest movement has been accepted by most international media as the Moroccan protest movement is doing a poor communications job. Among exiled Moroccans, however, the debate about new protests is vivid, using social media like Facebook and YouTube to spread the message to Morocco. test call, publishing discrediting videos, private photos and statements about them. Meanwhile, sources among the protest movement within Morocco told afrol News about a "climate of fear and intimidation" spreading in the country. Especially in the north of the kingdom, where the gravest confrontations between protesting youths and police forces were noted, had been "scared into silence," the sources added. But the 20 February movement remains alive and motivated. Especially the AMDH and the Moroccan Forum for Truth and Justice (FMVJ) say they are determined to keep on protesting for more democracy and human rights in the kingdom. In a letter to Interior Minister Taieb Cherqaoui, the two human rights groups now demand a credible investigation into police violence during the 20 February and following protests. 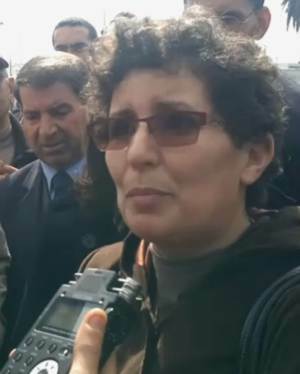 AMDH President Khadija Riyadi herself was beaten and hospitalised by "pro-government thugs" on 20 February in Rabat. In the letter to Minister Cherqaoui, the human rights groups demand the immediate freeing of the many protesters arrested in Rabat, Kenitra and other Moroccan cities. AMDH and FMVJ threaten to break the ongoing dialogue with the Ministry, which has served the regime to legitimise its claims that progress is being made regarding the human rights situation in Morocco. But for now, the Interior Ministry remains stubborn in its attempts to repress further protests, not allowing any of the planned marches. Reports from the Moroccan city of Fez today say that five students have been sentenced to 3 and 4 years of prison for "participating in an unauthorised demonstration and theft and destruction of property and disruption of the public order." Around 10 more students are held by the police in Fez, awaiting trial. Similar trials are being held all over Morocco. The AMDH meanwhile maintains its calls for protests every Sunday to the keep the protest movement warm. Human rights activists will gather in central Rabat on Sunday 5 March. Exiled Moroccans meanwhile are calling for "a break" in order to regroup, calling for renewed nation-wide protests on Sunday 20 March through a new Facebook campaign. 03/03/2011 18:01 zpeconomiainsostenible Enlace permanente. sin tema No hay comentarios. Comentar. State intervention and corruption are killing Africa, focus of new riots. State intervention and corruption are killing Africa focus of new riots. 9 March - A new study into current land lease and sale contracts in Africa shows how local land users are mostly not even consulted in the process. When consulted, they are often tricked. Over the past few years, agribusiness, investment funds and government agencies have been acquiring long-term rights over large areas of land in Africa. A new 56-page report from the International Institute for Environment and Development (IIED) looks at the contractual terms of 12 land deals all over Africa. Land contracts are typically signed between two parties, mostly not including local land users. In most of the deals reviewed by IIED, land was allocated by a central government agency. While in many cases government responded to requests for land from outside investors, in others such as Mali it reportedly played a proactive role in seeking out investors. 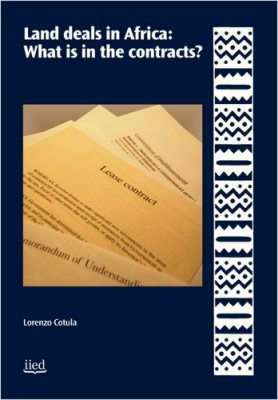 "The central role of the state in land allocations reflects trends in national law," according to author Lorenzo Cotula. 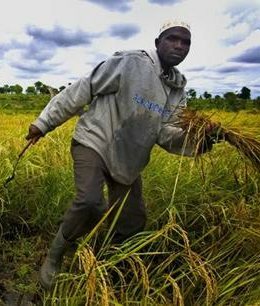 In most African countries, land is owned by the state. For instance, land is nationalised in Ethiopia, where private land ownership is outlawed and only long-term land leases may be acquired. Countries such as Mali and Cameroon do allow private land ownership, which may be acquired through land registration procedures. "But even in these cases, costly and cumbersome procedures mean that very few rural people hold ownership rights," according to Mr Cotula. Where customary tenure systems are perceived as legitimate, local resource users feel they have sufficient tenure security under these systems without needing to seek formal title. In Cameroon, for example, only about 3 percent of the land has been formally registered and is held under private ownership, mainly by urban elites such as politicians and businessmen. "As in many jurisdictions all untitled land is owned by the state, governments end up controlling much rural land even where the statute books devote numerous provisions to regulating private ownership," according to the report. Although the land is formally owned by the state, there are of course local people - farmers, herders, hunter-gatherers - that often used it for generations and see the land as theirs. ultivation and pastoralism," he adds. "In practice, very large land deals are bound to involve some squeeze on existing rights, even where the intensity of current resource use is low. This is particularly so where agricultural investments target higher-value lands," the IIED report says. "The problem is that the customary rights of local people may have no or little recognition under national law. This circumstance is historically rooted in the colonial experience," Mr Cotula explains. In countries like Cameroon and Ethiopia, where customary rights are not legally recognised, and even in countries like Mali, where customary land rights enjoy some protection, national law considers most rural people as having qualified use rights on state-owned land. As a result, the government has sole legal authority to sign off transactions. Governments and investors may still undertake local consultations, "but in many publicly reported deals local people are not party to negotiations affecting their land, have little say in decision-making and are therefore vulnerable to dispossession," the study found. Also, negotiations tend to happen behind closed doors and the contracts are rarely publicly available. "Lack of transparency and public scrutiny creates the breeding ground for corruption and deals that do not maximise the public interest," Mr Cotula warns. 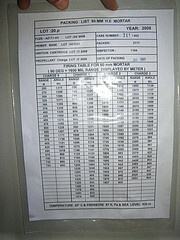 Liberia was an example of better practice, as land contracts are ratified by parliament and posted online. But the IIED study also looks into examples where lands are mostly in the hands of local land users and contracts typically are made directly between investors and associations of local landholders. Mr Cotula found examples of this in Madagascar - which in 2006 abolished the presumption of state ownership over untitled land - and Senegal and Sudan. 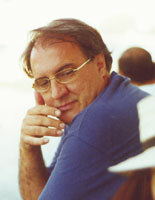 Mr Cotula in these examples noted the very fast negotiation processes over large tracts of lands. "Also, in Africa there are usually limited local capacity to access and analyse information - for example, about the revenues that are likely to be generated by the project - and major asymmetries in negotiating power between investors and local people. As a result, unless local people are properly supported, they are vulnerable to exploitation," he concludes. 09/03/2011 12:32 zpeconomiainsostenible Enlace permanente. sin tema No hay comentarios. Comentar. Saudi Arabia: One country with many risks. SAFETY AND SECURITY: In the most recent Travel Warning for Saudi Arabia, the Department of State urges U.S. citizens to consider carefully the risks of traveling to Saudi Arabia. The last major terrorist attack directed against the civilian population was an attack against French nationals in 2007. 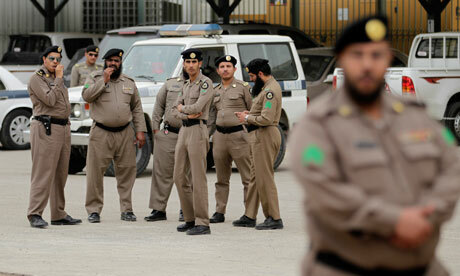 Significant enhancements in the capacity and capability of Saudi security and intelligence forces have greatly improved the security environment. Although much improved, the changes remain fragile and reversible. The Department of State has authorized the return of all family members to the U.S. Consulate General in Dhahran and the return of adult family members and non-school-age children to the U.S. Embassy in Riyadh. The U.S. Consulate General in Jeddah remains an unaccompanied post. While these changes reflect the continued improvement in the security climate in Saudi Arabia, particularly in the Eastern Province and Riyadh, it is important to note that there remains an ongoing security threat due to the continued presence of terrorist groups, some affiliated with al Qaida, who may target Western interests, housing compounds, hotels, shopping areas and other facilities where Westerners congregate. These terrorist groups may employ a wide variety of tactics and also may target Saudi Government facilities and economic/commercial targets within the Kingdom. American citizens who choose to visit Saudi Arabia are strongly urged to avoid staying in hotels or housing compounds that do not apply stringent security measures, and also are advised to be aware of their surroundings when visiting commercial establishments frequented by Westerners. American citizens also are advised to keep a low profile, vary times and routes of travel, exercise caution while driving, entering or exiting vehicles, and ensure that travel documents and visas are current and valid. From time to time, the U.S. Embassy and Consulates in Saudi Arabia may restrict travel of official Americans or suspend public services for security reasons. Whenever threat information is specific, credible, and non-counterable, this threat information will be made available to the American public. In those instances, the Embassy and Consulates will keep the local American citizen community apprised through the Warden system and make every effort to provide emergency services to U.S. citizens. Warden messages for Saudi Arabia are available at the U.S. Embassy Riyadh website. For the latest security information, U.S. citizens traveling abroad should regularly monitor the Department of State’s Bureau of Consular Affairs’ website. It contains current Travel Warnings and Travel Alerts, including the Travel Warning for Saudi Arabia, as well as the Worldwide Caution. Up-to-date information on safety and security can also be obtained by calling 1-888-407-4747 toll-free within the United States and Canada or, outside the United States and Canada by calling a regular toll line, 1-202-501-4444. These numbers are available from 8:00 a.m. to 8:00 p.m. Eastern Time, Monday through Friday (except U.S. federal holidays). The Department of State urges American citizens to take responsibility for their own personal security while traveling overseas. For general information about appropriate measures travelers can take to protect themselves in an overseas environment, see the Department of State’s extensive tips and advice on traveling safely abroad. 12/03/2011 20:45 zpeconomiainsostenible Enlace permanente. sin tema No hay comentarios. Comentar. Saudi Arabian security forces quell day of rage protests. Saudi security forces came out in strength in Riyadh on a "day of rage" organised by pro-democracy campaigners who managed only small demonstrations in the eastern provinces. Expectations that the unrest sweeping the Arab world in the last few weeks would spread to its most conservative kingdom appeared to have been dashed by pre-emptive security measures and stern official warnings against any protests. Far larger demonstrations rocked Yemen, where tens of thousands of pro and anti-government protesters took to the streets as President Ali Abdullah Saleh struggled to maintain his grip. Clashes broke out in the nearby island state of Bahrain, where Shia protesters were confronted by riot police guarding the royal court in Manama. Demonstrations were also held in Kuwait by stateless people demanding their rights. The calm in the Saudi capital may have been achieved partly by an incident on Thursday in the eastern city of al-Qatif, where police shot and wounded at least two protesters. Unconfirmed reports described trouble there again. Protesters rallied in Hofuf, close to the eastern Ghawar oil field and major refinery installations. The city has seen scattered protests by Shias who complain of discrimination by the Sunni majority. Saudi sources also reported marches involving hundreds of people in al-Ahsa and Awwamiya near al-Qatif. Security in Riyadh was high-profile and intense, with helicopters hovering overhead and police checks on cars and individuals heading for mosques, where protests were expected after prayers. "Police cruisers were given orders to pull over any car," tweeted Mohammed al-Qahtani, president of the Saudi Civil and Political Rights Association. "I saw several cars being searched by officers, and they checked IDs." Disappointed activists counted more policemen and journalists than demonstrators. "Where were all these policemen and helicopters when Jeddah was drowning?" asked one Saudi — a sardonic reference to the floods that devastated the Red Sea coastal city twice in the last two years and fuelled anger and resentment at government incompetence. Last week Saudi Arabia banned public protests following demonstrations by Shia groups in the eastern areas during which 22 people were arrested and later freed. Activists had used a Facebook page to call for protests but many reformist Saudis said they did not know who the organisers were and raised concerns of a possible provocation by the secret police in a country where demonstrations are rare. Characteristically, the government mobilised religious leaders to speak out. "Islam strictly prohibits protests in the kingdom because the ruler here rules by God's will," Sheikh Abdel Aziz Alasheikh told worshippers in Riyadh's central mosque. Leading scholars had earlier issued a fatwa banning protests. Rumours were rife in Riyadh, with anonymous text messages carrying dire warnings of huge fines, loss of nationality and expulsion from the country. "The messages are not coming from official channels, and are obviously scare tactics employed to discourage large numbers from showing up and adding to the tensions," one resident told the Guardian. Last month King Abdullah, who is 87, sought to defuse opposition demands for change by unveiling an unprecedented package worth about bn (£23bn) to pay for unemployment benefits, education and housing subsidies the day after he returned from three months of medical treatment in the US and Morocco. But critics said he was resorting to a familiar tactic of throwing money at a problem and not addressing its root causes — a lack of significant political reform. Since then the streets of Riyadh have been festooned with flags and large green posters of a smiling King Abdullah welcoming him home. "If you are well, we are all well," one read. "Welcome king of humanity," said another. Before a soccer match on Thursday, a message was circulated among fans urging them not to wear their team's colours but the green of the Saudi national flag. For some Middle East analysts the extent of unrest in Saudi Arabia has been seen as a possible indicator of whether the popular unrest across the region will begin to ebb or continue to intensify. But a low turnout in protests may lead the king and his advisers to conclude that internal pressure for reform can be ignored. 12/03/2011 21:15 zpeconomiainsostenible Enlace permanente. sin tema No hay comentarios. Comentar. The Saudi government should listen to the demands of its citizens, not seek to stifle them. Calling for equal rights for an oppressed religious minority should not be a reason for harassment and arrest. (Munich) - Saudi authorities should immediately release a Shia cleric apparently arrested on February 27, 2011, for calling for a constitutional monarchy and equal rights for Shia in his Friday sermon, Human Rights Watch said today. The domestic intelligence agency, the General Directorate for Investigations, summoned Shaikh Tawfiq al-‘Amir to Hofuf in the al-Ahsa district of the Eastern Province and then arrested him, according to family members. No official reason was given for his arrest. "The Saudi government should listen to the demands of its citizens, not seek to stifle them," said Christoph Wilcke, senior Middle East researcher at Human Rights Watch. "Calling for equal rights for an oppressed religious minority should not be a reason for harassment and arrest." The arrest comes amid mounting pressure for political reform in Saudi Arabia as pro-democracy demonstrations sweep through the Middle East. A total of close to 2,000 Saudis have put their names to three separate petitions calling for a constitutional monarchy. The government so far has not arrested any of those who signed the petitions, which were made public last week. However, the authorities have reportedly blocked access within the kingdom to the website http://www.dawlaty.com/ ("My Nation"), where one of the petitions appeared. On February 16 the authorities arrested a group of people who had announced their intention to found the country’s first political party, the Islamic Nation Party (Hizb al-Umma al-Islami). One petition, the so-called "youth" petition, signed by more than 40 people and initiated by young journalists, was made public on the day of King Abdullah Bin Abdul-Aziz’s return to Saudi Arabia on February 23, following a three-month absence for medical treatment. The petition called for an elected parliament, a separation of powers, a review of the Basic Law, and a basic administrative law, among other demands. A second petition, "Toward a State of Rights and Institutions, " calls for an elected parliament with full legislative powers, a separation of the offices of king and prime minister, and the release of political prisoners, among other demands. Over 1,550 people have signed it, including some high-profile Islamist clerics who had vehemently opposed King Abdullah’s promotion of women in the public sphere. The third and latest petition, released on February 26 under the title, "National Declaration for Reform," was signed by more than 330 people, including leading liberal reformers, and includes the most detailed reform program. It calls for elections to decision-making bodies on the local, provincial, and national levels, as well as a review of the Basic Law to include rights protections, true separation of powers, and the release of political prisoners, among other demands. Various internet sites have called for a Saudi "Day of Rage" on March 11 and March 20, with nationwide demonstrations. Public protests are banned by the authorities in Saudi Arabia. Publicly identifying with demands for political reform remains risky in Saudi Arabia and can lead to harassment or detention. On February 25 there were peaceful marches in the Shia towns of Safwa and Qatif in the Eastern Province. Residents of al-‘Awwamiyya, an adjacent small Shia town, held a silent vigil the same day calling for the release of the so-called "Forgotten Prisoners," nine Shia Saudis detained without charge or trial for over 12 years over unproven allegations of their involvement in the 1996 attacks on US military targets in Khobar that killed 19 Americans. 12/03/2011 21:23 zpeconomiainsostenible Enlace permanente. sin tema No hay comentarios. Comentar. A report released by the U.S. State Department on terror activity in the Middle East and North Africa in 2009, says Iran and Syria continue to play destabilizing roles in the region. "Iran continued its financial, material, and logistical support for Hezbollah, Hamas, and other terrorist and militant groups throughout the Middle East and Central Asia" along with Syria who "continued to provide safe-haven as well as political and other support to Hamas, Palestinian Islamic Jihad, the Popular Front for the Liberation of Palestine-General Command, and a number of other designated Palestinian terrorist groups. In the Mideast-North Africa Overview report, the State Department mentioned the Iraqi government’s "significant strides in mitigating the threat posed by Sunni militant organizations, including Al-Qaida in Iraq." Iraq was able to achieve a "sharp reduction in the number of security incidents...including a decrease in civilian causalities, enemy attacks, and improvised explosive devices (IEDs) attacks in the last quarter of the year" explained the report. Yet, "Iran and Syria, both state sponsors of terrorism, continued to play destabilizing roles in the region" said the US. On Israel, the report states, "while Israel remained vulnerable to rocket and mortar attacks launched from inside Gaza, it continued to be largely successful in confronting the threat posed by suicide bombers and rockets from the Palestinian territories." The transfer of some control of the West Bank to the Palestinian Authority is also cited in the report, which was allowed by the Israeli government as security improved in the area. "Hezbollah continued its acquisition of smuggled arms, primarily via Iran and Syria, in violation of UN resolution 1701," said the Overview report about Lebanon’s terror activities. "Sporadic rocket fire from southern Lebanon into Israel did occur throughout the year, with select Sunni militant groups responsible for most of the attacks." 13/03/2011 14:48 zpeconomiainsostenible Enlace permanente. sin tema No hay comentarios. Comentar. African Union praises Ghaddafi "reform offer". African Union praises Ghaddafi "reform offer"
14 March - The African Union (AU) has come out in support of Libya's Ghaddafi regime, opposing any military action against the regime and praising its "readiness" for "political reforms." 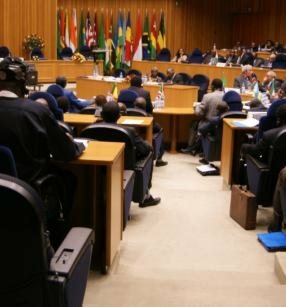 The surprise move comes after an ongoing meeting of the AU's Peace and Security Council, which is discussing the situation in Côte d'Ivoire and Libya. 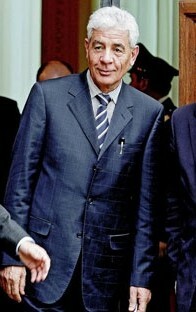 Libyan Foreign Minister Moussa Koussa was present in the meeting, as Libya is a current member of the Council. Ramtane Lamamra, the AU Commissioner for Peace and Security, this morning announced the results of the meeting. While there were some vague statements over the AU's "deep concern" over the situation in Libya and a condemnation of the "disproportionate use of force," the resolution was tainted by Foreign Minister Koussa's defence of the Ghaddafi regime. The statement for the most read out like a speech by the Ghaddafi family. 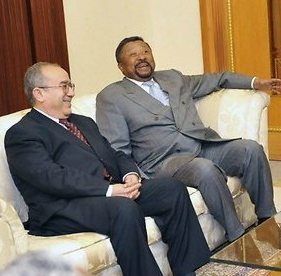 The AU, it was learnt, was committed to the "respect of the unity and territorial integrity of Libya," following allegations by the Ghaddafi regime that the rebels were "separatists". No other source has made such allegations. of any form of foreign military intervention." The strong statement could only be interpreted as an AU rejection of a no-fly zone in Libya. Finally, in a passage that would shock most Libyans and in direct reference to Saif al-Islam Ghaddafi, the AU Peace and Security Council says it takes "note of the readiness of the government of Libya to engage in the path of political reforms." In continuation, Mr Lamamara expressed "the solidarity of the AU with Libya." The statement cannot be read in any other way than an AU support for the Ghaddafi regime staying in power while some "democracy, political reforms" are decreed by the Ghaddafi family with the population at gunshot. The resolution comes in what analysts have called a "shameful year" for the African Union, following its election of Teodoro Obiang Nguema as its chairman earlier this year. Mr Obiang since 1979 is the President of Equatorial Guinea and considered one of the world's worst dictators. At home, he has prohibited any media reports about the North African revolutions. ved AU headquarters in Addis Ababa, shortly after the statement on Libya was made. It is believed that the AU chairman will use his stay in Addis Ababa to coordinate an AU campaign against foreign intervention in Libya, and in particular the establishment of a no-fly zone. The AU resolution indeed could have an impact on developments in Libya. The UN Security Council currently is split on a possible no-fly zone over Libya, which would imply a limited military intervention. France and Britain have strongly promoted such an intervention, with other Western countries somewhat cooler but not completely against the idea. Russia and China, two veto powers at the Council, have for now turned down the proposal, however saying that a strong desire for a no-fly zone by the Arab League, European Union and African Union would mean that China and Russia would not veto such a decision. The Arab League seems favouring a no-fly zone. But the AU, under direct influence of the Libyan Foreign Minister, now may have put an end to international efforts to implement a UN-led no-fly zone. 14/03/2011 16:20 zpeconomiainsostenible Enlace permanente. sin tema No hay comentarios. Comentar. Bahrain: The threat of a cataclysmic. Bahrain may be the beginning of a war of cataclysmic proportions. We will try to explain. When I was a child collect stamps (seals) of Bahrain, formerly known simply as its main city, Manama, because that was part of the UAE. When divided into the 70, the new Bahrain inherited from the UAE and Saudi Arabia, a dominant caste: Although 70% of the population is Shiite, like the Iranians, the Bahraini government, armed forces, ministries all important management positions in oil production, refining, alumina processing, tourism ... are controlled by Sunnis. Shiites simply can not come to power. Only have access to Parliament. But as in other Muslim countries, a parliament is disabled, the shadow of the real power that resides in the oil revenue and holding the King Hamad bin Issa Al Khalifa. Descendant of the Sunni Al Khalifa UAE. The Shiites have made clear for years: do not want to be dominated by Sunnis. And they are not alone. The Iranians have called for them not only their brotherhood with the Shiites, but the ownership of the archipelago of Bahrain. Iran's territorial claim has been discussed and settled several times, like a Pandora's box, always comes back. Unlike the Shiite Hezbollah in Lebanon, or Iraq's Shi'ite militancy, the Shia of Bahrain calling for democracy. Such a democracy would allow them to control a country in which the majority and, of course, would undermine and arrinconaría Sunni power. This democracy was offered 8 years ago by the same King Hamad but nothing has happened since. The point is that the Sunnis are not alone. The Saudis would not hesitate to intervene in Bahrain if the King is the situation out of hand. At least, that's the fear that the BBC transmits the analysis of Gala Riani (http://www.bbc.co.uk/news/world-middle-east-12471243). Another trigger: Bahrain is one of the countries with the highest human development in the world, and with a high level of satisfaction with the functioning of their societal networks (http://hdr.undp.org/en/media/HDR_2010_ES_Complete.pdf). But make no mistake: no crime or civil strife ever born of poverty pure and simple. Not born of economic necessity, but the perception of inequality. The perception of inequality is associated with the trigger for excellence in every conflict: frustration . Another trigger: To avoid the presence of Shiites in the police, their police Bahrain imported from other Sunni towns such as Yemen, Syria and Pakistan. This made them a sort of mercenary, soon involved with social dissent. The Bahraini on the street are repressed, injured and killed by foreigners. Other: The repression does not look decrease but increase. At present some Shiite neighborhoods are flown by helicopters, and gunfire are heard repeatedly during the night. Repression is larger than that recognized international chambers. One mitigating factor: Protests still have a liberal character produced by the convening youth and social networking. Bahraini Shiites share the road with the Sunnis who are also out of power. Both seem to understand that the benefits of a welfare state must include all Bahraini alike. Scenario 1: The Rise decides to promote changes that mean the transfer of power to the Shiite civil society. This causes annoyance in the UAE and Saudi Arabia. Internal balances are guaranteed to significant costs in their natural allies. Though the King to maintain its mandate (an increasingly unlikely scenario, but not impossible), the U.S. find that their fleet is stationed in a country with historical, ethnic and religious ties with Iran. The volatility is too dangerous for the alliance between the U.S. and Sunni kings. This scenario would create a chain of events that must be analyzed at the time. The largest oilfield in the world is one that extends from the River Indus to the Euphrates, and sums the proximity of the Iberian Peninsula. All that oil passes through the Persian Gulf. Check this step is essential for the balance of the entire global system. The maritime boundary in the Gulf and the Strait of Hormuz between Iran and the Arabian Peninsula is an extremely precarious balance that defines the nature of conflict in the Middle East, from Iraq to Palestine. This very gently confronted border separates the economic system of two mortal enemies who have sought to annihilate since the overthrow of Mossadeq in 1953, the invasion of Iraq and the Israeli bombing of southern Lebanon, 56 years later. 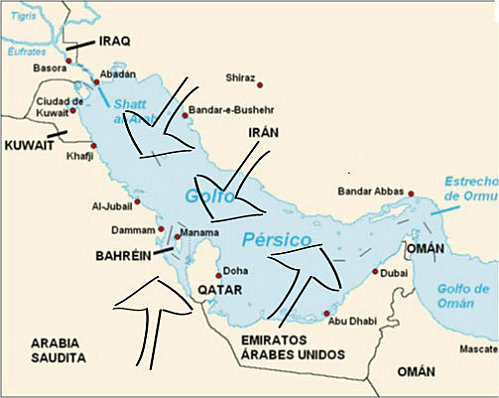 The mere presence of Iran in Bahrain, helping unconditionally frustrated civil society, in the center of Sunni power in the middle of the oilfields in the world, on the island where the V Fleet stationed U.S., the U.S. would Sunni kings and the duty to stimulate extraordinary measures from negotiating with Bahraini movement (even without structure, making arrangements to have little strength in the political field) to its simple suffocation. In addition, containment of this problem any longer, cause the radicalization of social, religious and political of the whole region of Shiite origin, multifaceted, and that have been nesting among the very many Shiites in Iraq, southern Lebanon Southern Saudi Arabia and Kuwait itself. The sequence of these processes is not easily predictable, but the scenario of violence antisunita, anti-Christian and anti-Jewish history has many immediate. Antichiíta violence also has been brutal and often state, just as there are important precedents in the history of Islam since the time of the Ismailis in the tenth century and beyond . Bahrain has everything to turn the world into a cataclysmic. Egypt would not be more than a baby with the potential for conflict scenarios that are played in the small Bahrain. So Virgin Islands, Caribbean territory free of U.S. tax paradise for the purchase and sale of gold and where there is poor, however, the region with more crime per capita. Therefore there was more violence in the Balkans than in Burkina Faso. Only by remembering an anecdote: it was exactly in Bahrain radicals in 900 Ismaili take by force the black stone in Mecca, pilgrims massacred in their time of pilgrimage and loot Medina, and not returned as pillaged until 50 years later. When the stone finally returned to Mecca, is split into 7 pieces, until today (http://www.philtar.ac.uk/encyclopedia/islam/shia/qarma.html.). The Iranians are heirs of Ayatollah mystical Ismailism spread throughout the Arab world in the following centuries. 14/03/2011 23:53 zpeconomiainsostenible Enlace permanente. sin tema No hay comentarios. Comentar. 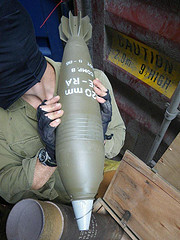 Israel intercepta un buque con armamento con destino a Gaza. En el día de la fecha, la armada israelí interceptó el buque de carga "Victoria" conteniendo distintos tipos de armamento en su interior, que se encontraba frente a la costa de Israel, en las aguas abiertas del Mar Mediterráneo. El abordaje se basó en informes que daban cuenta de que el buque llevaba en su interior armas destinadas a las organizaciones terroristas en la Franja de Gaza. El contrabando ilegal de armas a la Franja de Gaza representa una amenaza directa e inminente para la seguridad del Estado de Israel y sus ciudadanos, que se encuentran bajo el ataque incesante de cohetes y fuego de mortero procedente de Gaza. Cabe señalar que en el manifiesto de carga del buque Victoria no se reveló la existencia de armas en la embarcación, en violación de las disposiciones pertinentes de los convenios de la Organización Marítima Internacional y las normativas profesionales. Este episodio constituye un caso más entre otros ya ocurridos donde la navegación comercial transnacional cae víctima de los Estados que patrocinan el terrorismo, como Irán, Siria y el Líbano, con el fin de facilitar el contrabando de armas a organizaciones terroristas en la Franja de Gaza. Desde ya quedamos a su entera disposición para cualquier consulta. 16/03/2011 10:40 zpeconomiainsostenible Enlace permanente. sin tema No hay comentarios. Comentar. 16/03/2011 10:49 zpeconomiainsostenible Enlace permanente. sin tema No hay comentarios. Comentar. In Libya, Gaddafi’s forces mount heavy assault on strategic town. AJDABIYA, Libya — Forces loyal to Libyan leader Moammar Gaddafi stormed into this strategic eastern city on Tuesday, deploying artillery, tanks and rockets to pummel rebel positions in a major effort to suppress a rebellion that once appeared poised to end Gaddafi’s 41-year-long grip on power. Gallery: A mass exodus from the fighting in Libya: As fighting continues in Libya, tens of thousands of guest workers from Egypt, Tunisia and other countries are fleeing to escape the violence. The situation is quickly turning into a humanitarian emergency for the border country of Tunisia, which is being overwhelmed with migrant workers. Hundreds of residents, mostly women and children, fled Ajdabiya with whatever they could carry. By Tuesday night, residents and rebel commanders reported that Gaddafi’s forces had withdrawn to the outskirts of the city, a tactic they have used in previous attacks. Still, it increasingly appeared that Libyan forces could soon be within striking distance of Benghazi, the rebels’ stronghold. Libyan state television asserted that Ajdabiya had “been cleansed of mercenaries and terrorists linked to the al-Qaeda organization,” referring to the rebels. The assault on Tuesday was the latest sign that the forces that have fueled the Arab spring over the past few weeks are coming under pressure that might prove insurmountable. In Bahrain, the government has declared a state of emergency and invited Saudi troops to quell unrest. In Yemen, police fired bullets and tear gas at protesters on Sunday, a day after security forces killed seven demonstrators in protests across the country. In Libya, the rebels are up against a military force that is far superior and have been unable to persuade foreign powers to intervene militarily. On Tuesday, recommendations from France and Britain for a no-fly zone over Libya were rebuffed by foreign ministers from the Group of Eight countries. “If we had used military force last week to neutralize some runways and the several dozen airplanes at Gaddafi’s disposal, maybe the reversal that is happening now to the opposition’s disadvantage would not have taken place,” Juppe told Europe 1 radio. The seizure of Ajdabiya by Gaddafi’s forces would deliver a severe tactical and psychological blow to the rebel movement and bring Benghazi, 99 miles north of Ajdabiya, within their sights. Ajdabiya sits at the nexus of highways that would allow Gaddafi’s forces to either mount a frontal assault on Benghazi or encircle and place a chokehold on it and other pro-rebel cities along the Mediterranean coast. There were reports that Gaddafi’s forces had taken control of the road to Benghazi, cutting off the rebels’ primary path of retreat. But Khalid el-Saaya, a spokesman for the rebels’ military council, said that the road was still inside “free Libya” and that the rebels controlled it. He also insisted that the government had not taken Ajdabiya. On the front lines, rebel fighters increasingly accused the movement’s leadership of not providing them with adequate military equipment or experienced officers to lead them, despite public promises by senior commanders. On Sunday, Abdul Fattah Younis, the head of the rebel armed forces and Gaddafi’s former interior minister, declared that conventional forces, most of them defected soldiers from Gaddafi’s army, were playing a significant combat role. But they were nowhere to be seen Tuesday on what was perhaps the most pivotal battlefront of the rebellion. Others expressed anger at the international community, accusing it of betraying their cause and leaving them to face Gaddafi on their own. Minutes later, fighters spotted two reconnaissance planes high in the sky and began to futilely fire their machine guns in the air, wasting scores of bullets. As the bombardment intensified and neared the western edge of the city, some fighters vowed to mount a last stand against Gaddafi’s forces, while others cursed in frustration at their inability to fight their enemy’s superior firepower and military capabilities. On Tuesday, Libyan government forces took control of two more rebel-held towns. 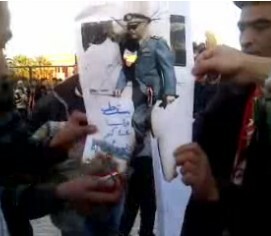 State television showed pictures of Gaddafi’s fighters holding a victory rally in the center of Zuwarah, a small town 76 miles west of Tripoli, and footage of damage caused to vehicles in Brega, west of Benghazi, which had changed hands several times in the past few days. In the capital, Tripoli, Gaddafi supporters honked their horns, fired automatic weapons into the air and set off fireworks to celebrate government assertions that Ajdabiya had fallen. 16/03/2011 15:59 zpeconomiainsostenible Enlace permanente. sin tema No hay comentarios. Comentar. 17 March - Colonel Ghaddafi today in an interview thanked the governments of Germany, Russia and China for opposing a no-fly zone over Libya, promising new oil contracts. The G8 Foreign Minister meeting in Paris today, uniting the world's leading economies, failed to address the situation in Libya, where Colonel Ghaddafi is bombing his own people and committing war crimes on a daily basis, according to leaders from the same countries. Following pressure from the Libyan protesters and the Arab League, France and Britain favoured a no-fly zone over Libya and the use of military power to implement it. A no-fly zone would have made the current advance of pro-Ghaddafi troops eastwards towards Benghazi, the rebel "capital", difficult. France's Foreign Minister Alain Juppé said he had tried to convince other world leaders to agree to the use of military force to stop the Ghaddafi advance against the popular revolution. But with no result. "If we had used military force last week to neutralise some airstrips and the several dozen planes that they have, perhaps the reversal taking place to the detriment of the opposition would not have happened," Minister Juppé stated. But that is the past. ... We have perhaps missed a chance to restore the balance." Most other large powers, including the US, had been sceptical on a no-fly zone over Libya, fearing it could drag the countries implementing it into a wider war in North Africa. But also the US was open to accept a proposed no-fly zone, without presenting a veto in the UN Security Council. ing therefore made no statement at all on how to treat the situation in Libya. Colonel Ghaddafi in several interviews today praised the countries opposing military action, promising them future oil and other business deals in Libya. To the European broadcaster 'RTL', the Libyan dictator said he did not trust Western countries anymore. As a consequence, future oil and business deals would go to Russia, India and China. But "the Germans have taken a very good position towards us, different from many other important Western countries," he told 'RTL'. Germany would therefore be considered in future business deals. Also, Mr Ghaddafi said, "Germany should have a permanent seat in the UN Security Council, not France." 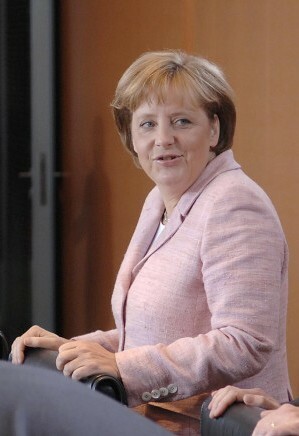 German Chancellor Angela Merkel has not reacted to the hailing from the Libyan dictator. However, German media close to the Berlin government have described the situation as "very embarrassing" for Ms Merkel, possibly forcing her to take a tougher stance on Libya. Also in the 'RTL' interview, Colonel Ghaddafi said that he was saddened by the position of French President Nicolas Sarkozy. "He is a friend of mine, but I think he has become a mental case," said the eccentric Libyan dictator, claiming he had sources among President Sarkozy's staff saying the French leader was mentally ill. In another interview today, Colonel Ghaddafi said he and the Libyan army would "join Al Qaeda" if there would be a Western attack on the country. The Ghaddafi regime also on a daily basis accused the rebels in eastern Libya of being attached to Al Qaeda. 17/03/2011 09:54 zpeconomiainsostenible Enlace permanente. sin tema No hay comentarios. Comentar. 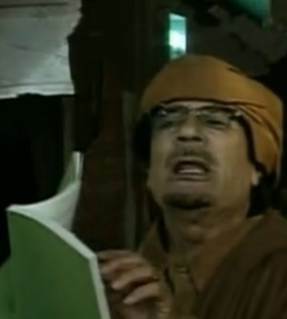 Gaddafi orders storm of Benghazi in this night. Gaddafi orders storm of Benghazi. Muammar Gaddafi warned the rebel stronghold of Benghazi he would storm the city in the night showing no mercy, while the United Nations edged towards a resolution allowing air strikes on Libya to stop him. "We will come zenga, zenga. House by house, room by room," he said in a radio address to the eastern city. Thousands of residents of Benghazi gathered in a central square, waving anti-Gaddafi tricolour flags and chanting defiance of the man who has ruled the country for four decades. "It’s over. The issue has been decided," Gaddafi said, offering pardon to those who lay down their arms. "We are coming tonight...We will find you in your closets. "We will have no mercy and no pity." Ten nations ready to attack Ghaddafi regime.Germany says "NEIN". 19 March - A "coalition of the willing" is rapidly forming to strike back at any military advances of the Ghaddafi regime against the rebels and Libyan civilians. Ten nations already are ready to attack. An immediate attack on pro-Ghaddafi forces after this night's UN Security Council resolution had been carefully planned, with many Arab and Western nations putting military vessels and aircrafts to the disposition of the operations. So far, the US, UK, France, Spain, Belgium, Denmark, Italy, Malta, Qatar and another unnamed Arab country are prepared to participate in a strike against Colonel Ghaddafi's troops. The unnamed country is widely believed to be the United Arab Emirates. The "coalition of the willing" originally had planned to strike against Mr Ghaddafi's troops already this afternoon, Western military sources indicate. However, the Libyan regime's unexpected unilateral announcement of a ceasefire delayed the strike. Now, an attack probably will come at the first documented break of this ceasefire. The presence of allied military forces close to Libya is already impressing, documenting that a massive attack could come within hours or even minutes after the order is given. The US military has already placed two squadrons with a total of 40 F-16 combat aircrafts in Aviano, Italy, ready for attack. Off the Libyan coast, the Americans have the helicopter carrier 'USS Kearsage', three destroyers, an amphibian landing ship and a nuclear-powered submarine - all heavily armed with missiles. 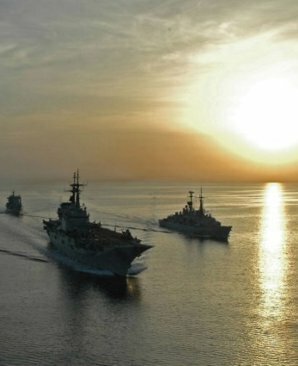 According to US military sources, even more powerful arms are underway towards the Mediterranean. This includes the new F-22 stealth aircrafts "Raptor", drones and the aircraft carrier 'USS Enterprise'. The French armed forces are prepared on their military bases along the Mediterranean coast and the island of Corsica. The aircraft carrier 'Charles de Gaulle', carrying 35 air fighters, is already stationed close to Libya. reconnaissance aircrafts, jets and bombers are ready for combat at a military base in Malta. Further military equipment, including Tornado and Typhoon fighter jets, is moved from the UK towards Malta, Italy and possibly Greece. Spain has offered to send several combat aircrafts and marine vessels to assist in the operation. Further, Spanish military airports have been opened for the operation. The government of Belgium today announced it would contribute with six F-16 combat aircrafts. Also Denmark announced it would send six F-16 fighters "to implement the no-fly zone." It is still unsure where the Belgian and Danish fighters will be stationed. Italy and Malta, Libya's nearest European neighbours, so far have not officially committed military staff or equipment to an attack on Ghaddafi forces. However, both Mediterranean nations have opened their air bases and ports to the coalition, and air attacks on Libya will most likely take off from Malta and Italy. The only Arab nation to officially announce its participation in the anti-Ghaddafi operation so far is Qatar. Another Arab nation - presumably the Emirates - is together with Qatar to play a vital role in monitoring the no-fly zone over Libya. Further countries are indicating their willingness to assist in the military operations against the Ghaddafi regime. Greece and Cyprus may soon open their ports and military airports for operations against Libya. Norway and the Netherlands have indicated they may send combat aircrafts. Lithuania has offered a military transport plane. Sweden says it will offer help if receiving a NATO request. Meanwhile, Libya's nearest neighbours are carefully avoiding active participation. Tunisia is not participating in the operation. Egypt also abstains, but is however providing the Benghazi-based rebels with arms and other supplies. Germany have said "nein" to the attack for the risks and consequences. 19/03/2011 01:01 zpeconomiainsostenible Enlace permanente. sin tema No hay comentarios. Comentar. Malta airport "not open for Libya strikes" .With Germany dont want partipate . Malta airport "not open for Libya strikes"
20 March - Malta, Libya's closest European neighbour, denies its airport will be open for "any military strike against Libya" by the coalition preparing to implement the no-fly zone. 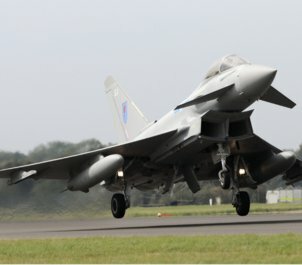 afrol News yesterday reported that ten nations already were ready to aid in an attack against the Ghaddafi regime, including Malta, which according to British military sources was among the main basis for British air operations against Libya. Martin Bugelli for the Maltese Office of the Prime Minister today strongly denied this information in a protest note to afrol News. "All references to Malta are incorrect as Malta is not hosting any military base, equipment or personnel for any military strike against Libya. These references are unfounded and have no basis of truth," Mr Bugelli stated. Malta, a small island state in the Mediterranean and a European Union member, is the closest European neighbour to Libya, located only 350 kilometres north of Tripoli. This makes the country especially exposed to possible retaliation strikes by the pro-Ghaddafi air force. The island's airport so far has been key in evacuation efforts by Western powers, with military aircrafts from, among other the UK, having taken off and returned on Valetta airport after evacuation operations in Libya. For any military or humanitarian operations in Libya, Malta is strategically placed, but also exposed to counter-attacks. The closest land bases in Europe for military strikes against the Ghaddafi regime therefore now are Italy and Greece, with the island of Crete lying very close to eastern Libya and Benghazi. Italy has already announced the opening of its bases and airports to the anti-Ghaddafi coalition. The support of Greece is still more uncertain. Further away, France, with a special focus on the Mediterranean island of Corsica, and Spain have also allowed anti-Ghaddafi strikes to start from their airports. 20/03/2011 07:46 zpeconomiainsostenible Enlace permanente. sin tema No hay comentarios. Comentar. Benghazi: Qaddafi knows that if his troops are in an inhabited, foreign aircraft may not beat them for fear of causing civilian casualties. CAIRO-The hope and fear mingled in the Libyan cities last night after it began international intervention designed to stop the atrocities committed by Colonel Muammar Gaddafi against his own people. He had fulfilled his promises and attacked Benghazi yesterday morning, when the rebels and citizens still awaiting the arrival of foreign forces, which was wait two days. French planes began patrolling the skies of Benghazi yesterday afternoon and, in the first attack of this international operation Libyan soil, destroyed several army tanks Qaddafi on the outskirts of the city. A U.S. official said the air defense system of the regime of Libyan leader was "gravely disabled" by a US-led bombing. Militants clashed with the forces of Colonel in the streets of some neighborhoods in Benghazi, where sleeper cells appeared his followers, who had remained hidden until now. 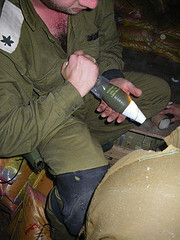 The rebels also tried to implement one of the very few and very old aircraft at their disposal, but could do little with their heavy artillery weapons against Gaddafi, who is using Grad ground-ground missiles against houses and cars, even against people when they are designed to be used against vehicles and military aircraft. His forces shelled with mortar fire for hours some densely populated neighborhoods of the rebel capital, which is estimated to have between 700,000 and one million people, many of which launched yesterday to flee to safer areas, passed away yesterday after a 30 people, according to the TV station Al Jazeera, and dozens were wounded, including children. The fighting had stopped in Benghazi yesterday afternoon and the presence of foreign fighter offered its inhabitants a sense of relief and protection, but they remained on alert for a possible counterattack by the forces of dictator, which could come back early morning. For its part, Libya called for an urgent meeting of the Security Council of the UN, while Gaddafi condemned the intervention, which he called "cross-colonialist" and said that from now on, the Mediterranean has become a field battle. The dictator is still challenging and threatening the international community and called on the Libyan people to bear arms. His regime maintained its intense propaganda offensive Monday and yet another press conference the day, a spokesman, Mohammed al-Zawya, was surprised international intervention after the Libyan government had reportedly declared a ceasefire on Friday, that the government defends Gaddafi at all times that is being respected. But the Army, in addition to launching the attack on Benghazi, continued yesterday with the punitive operations against the last rebel strongholds in the west of the country, especially Misrata, it takes days resisting a brutal siege by government troops. Therefore, the third largest city was also targeted attacks target U.S. aircraft, began operations last night also on Gaddafi's hometown, Sirte and Tripoli, the capital, stronghold of the dictator and where he prepared to survive a new attack. Their headquarters and was bombed by the U.S. in 1986, Gaddafi was available yesterday to receive a new assault on the Bab Aziza, on the outskirts of the capital, reinforcing security and surrounding himself with his followers, which would serve as human shields : Colonel opened the doors of his fortified residence-secret, and allowed a demonstration attended by women and children. This same strategy is behind the assault on Benghazi: Qaddafi knows that if his troops are in an inhabited, foreign aircraft may not beat them for fear of causing civilian casualties. Al Zawi, last night offered the first official reaction to Western intervention, claimed that the bombing by international forces, which began late in the afternoon, were causing damage to buildings and causing civilian casualties "and fill the hospitals." Beyond the lies and inconsistencies at the Gaddafi regime has used the world over the last few days, all parties are aware that military action carries risks and so-called collateral damage. 20/03/2011 08:15 zpeconomiainsostenible Enlace permanente. sin tema No hay comentarios. Comentar. Ethiopia crackdown on opposition to prevent protests. 20 March - The Ethiopian opposition reports that over 250 of its central members have been arrested during the week. The arrests are seen in connection with a planned mass protest. According to Ethiopia's main opposition coalition Medrek - composed of eight mostly regionally-based parties - several of its member parties have experienced a wave of arrest this week. At least 250 opposition members remain in detention, they claim. Most of the detainees were said to be from the Oromo People's Congress (OPC) and the Oromo Federalist Democratic Movement (OFDM), two Medrek coalition partners. The OPC and OFDM are from Ethiopia's central Oromia region, which surrounds the capital, Addis Ababa. The Medrek leadership reports that at least 217 OFDM members and 40 OPC members have been arrested during the week and that the whereabouts of most of them still were unknown. At the same time, there are unconfirmed reports that at least 150 key members of the Oromo People's Democratic Organization (OPDO), a member of Ethiopia's ruling coalition, have been arrested on corruption charges during the same time. Ethiopian opposition figures put all these arrests in connection with the repeated calls for Egypt-like mass protests and riots. Many of these calls have come from the key Oromia region, with the outlawed Oromo Liberation Front (OLF) repeatedly calling on Ethiopian to unite and overthrow the government of Prime Minister Meles Zenawi. Oromia is Ethiopia's most central, largest and most populated region. 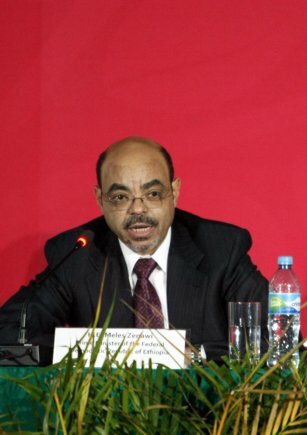 Discontent with the Meles regime in Oromia is reportedly increasing, also in Addis Ababa, as many see his government as a kind of "foreign rule" insofar that Mr Meles' power base is in the northern region of Tigray. Potentials for a popular rising against the authoritarian Meles regime are therefore seen as greatest in the Oromia region. At the same time, the Ethiopian government is struggling to keep control in other provinces, in particular the vast Somali region, also called Ogaden, in the south-east. Also socio-economic developments in the urbanised Oromia region seem to prepare the ground for a protest movement. While the Meles government has brought Ethiopia a booming economic development with record GDP growth over years, social differences remain enormous. Currently, food prices are skyrocketing, with some basic items out of supply, causing further frustration. Indeed, there is a growing movement calling for mass protests in Ethiopia, inspired by the North African revolutions. Two youth groups are calling for nationwide protests on 20 May. These protests movements are still mostly based in the large Ethiopian Diaspora, using Facebook and other social media to prepare for protests and revolution. While it is expected that Ethiopia-based opposition groups sympathise with the protest call, they have shied away from openly supporting it. Medrek leaders recently assured they would not take a leading role in any possible mass protests, saying that popular democratic revolutions did not need the leadership of an opposition party, but rather the strong organisation of local youths. This had been the lessons from Egypt. Experience from Ethiopia's two last elections further had shown how exposed the national opposition was to a government crackdown, as their protest marches were violently suppressed. As Medrek party officials again are being detained, the opposition therefore leaves the revolutionary initiative to the Ethiopian youth. Meanwhile, the Ethiopian government has noted the increased anti-government activities among Ethiopians in the Diaspora. Foreign Affairs Minister Berhane Gebrekirstos this week therefore announced an outreach programme to the Diaspora, to engage them in discussions about "the ongoing democratisation, development and peace endeavours of the country." 20/03/2011 21:03 zpeconomiainsostenible Enlace permanente. sin tema No hay comentarios. Comentar. Why the islamish riots cannot to have the triumph in Lybie. The Libyan rebel fighters sheltering behind sand dunes near the government-held town of Ajdabiyah are full of bravado but they appear to lack leadership, soldiering experience and any clear plan of action. The volunteer force comes from all walks of life — engineers, taxi-drivers and the jobless — united in their hatred of Muammar Gaddafi. Whether their zeal is enough to capture towns and push through to the capital Tripoli and topple him is highly questionable. That poses a dilemma for foreign governments who have weighed in on their side with strikes from air and sea against Gaddafi’s forces. The eastern front in the five-week-old insurrection is at a stalemate since Gaddafi’s troops, pulverised by French war planes, broke off an assault on the rebel capital Benghazi on Saturday and pulled back to Ajdabiyah, 150 km (90 miles) to the south near the Gulf of Sirte. On Tuesday morning, groups of fighters lounged on the protective dunes about 5 km (3 miles) from the town, chatting and smoking cigarettes. This was the spearhead of the counter-offensive. There was little sign of the soldiers who had defected from the government army in the early days of the uprising and joined forces with the volunteers. But there were hundreds of unarmed bystanders, who raised cheers of “God is Greatest” when the occasional round of tank fire from Ajdabiyah thudded into the desert sand behind them. They were a colourful crew, looking like extras in a “Mad Max” movie. Some had items of camouflage uniform, others wore leather jackets or soccer shirts. Headgear ranged from Arab scarves to motorcycle crash helmets. One man wore his grandfather’s medals from serving alongside the British Army here in World War Two. Their heavy machine guns were bolted to the back of pick-up trucks and there was a good supply of assault rifles. But some just had knives or iron bars. Field radios were not to be seen. Some said they were awaiting leadership from Benghazi, others more foreign action. They welcomed the air strikes as essential to knock out Gaddafi’s heavy weapons but said their needs went further. But analysts said the West is unlikely to send trainers or weapons due to the potential political and legal fallout. Washington has already indicated it wants to scale back its role while its troops are still involved in two other Muslim countries, Afghanistan and Iraq. “We have got to be hugely careful about determining just how far the coalition can go,” said British military expert Richard Holmes. “Look at the American commitment to Vietnam. It starts with advisers and finishes with ground troops. Once you’ve got anyone on the ground, you’ve got the corner of your coat caught in the machine,” he told Reuters in London. With Gaddafi’s opponents hampered by limited planning , apparent lack of coordination and poorly trained troops, Western governments may find that any expectations their air strikes will provide the vital spark to the rebels are over-optimistic. Back in Benghazi, in the dilapidated court house that serves as their headquarters, rebel officials played down the concerns about a lack of organisation. “This is a very spontaneous revolution. There was no preparation. People are saying ‘where are your troops?’. Our troops are my son, my doctor, the social worker, the people,” rebel spokesman Essam Gheriani said. “Now it’s more organised. The forces at the front are making some structure,” he added. A member of the rebel National Council, Abed Al-Hafeez Ghoga, said the rebels had advanced to within 150 km (95 miles) of Sirte on the way to Tripoli in the early days of the uprising without foreign help and were only beaten back by Gaddafi’s artillery and air power. Asked about the whereabouts of the defecting soldiers, he said that Gaddafi had never properly built up the army, pouring resources instead into his special brigades. “So we never counted on them anyway,” he said. Some of the rebel fighters said the officers and defecting soldiers who were at the front in the earlier battles for Ras Lanuf, Brega and Ajdabiyah may have gone back to Gaddafi. Others said they are still in Benghazi making a plan. The previous day, Ghoga said the rebels had received some military and communications equipment from foreign governments. The air strikes must continue to “level the playing field” for a rebel advance, he said. 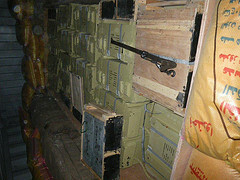 Most of the rebels’ weapons and ammunition were taken from captured military arsenals. But that may not be enough for the long haul. Rebels on the frontline also said they had lost the heavy weapons needed to take on Gaddafi’s tanks. Izzeldin al-Baraki, cleaning a machine gun on a pick-up truck, said he had had one day of training. He did have a commander but he was not at the front, he said. He received any orders by word of mouth rather than by radio. In the meantime, the motley rebel fighters camp out in their cars, in tents, in abandoned houses or on the ground, relying on their supporters to provide them with food and drinking water. 23/03/2011 00:23 zpeconomiainsostenible Enlace permanente. sin tema No hay comentarios. Comentar. ALL of you who have been so close to us these days, thanks for your presence and support. Had wanted to write a long letter, not to answer you, rather that compartiesemos those mo ...ments, those who have come to Israel and is abandoned to the cruelty of those around us, or disgusted by the silence of the media in France ... Also for those preparing to come and are detained for their next, assaulted by dudas.Nosotros we discussed in the yeshiva and remembered the miracle that one day the man goes and finds that ... is what I want pueblo.Es tell, the story of people who found it to be ONE! 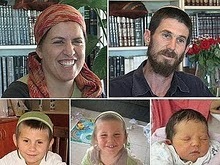 Buses full of children, whole classes, students yeshivots, carloads of laborers at the port of Ashdod, down with his hands full of drinks ... a Hasidic family "came to console you ... this summer our minibus shattered as a train, we lost our little girl, life has begun again and we had a girl and a boy ... "
Then came an old Druze in the Galilee, with his hands full of cakes (we said he had been careful to buy kosher!) And spoke thus: "I needed to come to give you my blessing," ... And it was the owner of a supermarket, You have free food in my shop every week as you want to. "And there came a Hasid who told us, I have a party room, your children will have the free wedding when casen.Y phoned Jonathan Pollard’s wife to tell her husband joined us and supported us, "You have a father there ... in America." And this young teenager who came to Dimona (180Kms) `to say one sentence ... a ... comfort to Tamar, which only has 12 years, and then returned to Dimona ... and the friend he called France and spoke the thus: "We offer a sefer and do aliyah ..."
Let me share with you the following thought ... I’ve heard those seeking an explanation for this drama "The Eternal, quote, is hard on their next and punishes for them away from sin", the tzaddikim atone for them and for their neighbors and not His sacrifice is in vain dijeron.Pero these explanations were too logical, intellectual, have been reluctant to hear it ... This week I saw a family that wanted to know what was the purpose or why it happened ... a family that came to the limit I had questions, but next to it was all the people of Israel.Y by such love and unlimited free this town appeared to me ... without máscara.CON transformed all its beauty and delicacy. COURAGEOUS AND HEROIC THAN EVER! In both sensitive and humble, so humble that he could protect the Eternal Gd .. Thanks for making me my Jew and Gd let me be worthy. 23/03/2011 12:05 zpeconomiainsostenible Enlace permanente. sin tema No hay comentarios. Comentar. USA SHOWS TO THE NON-COMPETITIVE EUROPE ZONE THE PATH OF COMPETITIVENESS. The first world power just made a commendable self-criticism. Washington recognizes that the U.S. must accelerate the design of a strategy to generate greater degree of competitiveness. A challenge that Barack Obama described in his speech on the State of the Union, vividly: "If we win the future, if we want innovation to create jobs in America and beyond our borders, we need to innovate, educate and make more the rest of the world. " In just one month after the annual address of the current White House occupant, the challenge of competitiveness and has-armed the tactical parameters of a call to strengthen technology leadership he has shown the United States in the last two decades. This initiative called Start America and has been able to bridge immediate between the public and private resources coincides with a new European attempt to dust the laudable mission statement of the Lisbon Agenda (2000) to convert the Old global technological leadership and a space for sustainable growth, full employment and the green economy. The difference is that, this time, the Obama Administration has not even looked at the extraordinary summit of Heads of State and Government on 11 March in Brussels in which the Pact for Competitiveness, chiseled by the Franco-German axis (the hottest point is the linking of wages to productivity rather than inflation), gave way to the so-called Pact of the Euro, further proof that the urgency of the debt crisis in the currency area leaves relegated sine die the translation of a genuine European competitiveness agenda. Consequently, the lost decade in search of El Dorado technology for much of the EU partners, with the notable exception of Germany and the Nordic countries, has certified that U.S. rival in this field also is ... China. Obama had no hesitation in pointing in this direction from the podium of the U.S. Congress: "China is educating its children from an early age and for longer, with special emphasis on math and science," he admitted they are investing in new technologies and are building faster trains and most modern airports. " The U.S. president's words hint at a new realpolitik. He explains Sean Pool, an analyst at Center for American Progress think-tank close to the Democratic Party. "The days of China as an economy of low cost, low-technology manufacturer and supplier of quality components of the industrialized powers have passed into history," he says. Now, qualifies Pool, Great World Factory not only leads the production of manufactured consumer goods with minimum standards of quality, but also the supply of high technology, developed massively in the U.S. and other innovation centers, and dot . com generate jobs in the Asian giant and start competing with ease in the lucrative overseas market. But, on what foundation rests Startup America, the strategy launched last day of January by the White House and government agencies with innovative technology firms in one of the public-private projects more ambitious? Pool Start clarifies that combines the presidential campaign America Education for Innovation, with another project of the White House, called Change Equation, "nonprofit organization dedicated to mobilizing the business community in order to improve the quality of science, technology, math and engineering education in the United States, and specific commitments of companies and institutions to "free private capital to achieve these social and technological goals." This initiative has a triple focus. First, in education, to broaden the impact of private sector in educational programs, institutes, universities and other educational bodies and cover, with its financial coverage, thousands of new students. Second, in trade, to clarify the ways of transition to market research from a larger number of universities, innovation centers and state and municipal programs of technological development. And third, pressing the accelerator driven successful programs to attract business from experienced mentors and donors to promote innovation. However, unlike in Europe and especially Spain, the theoretical component was reflected almost immediately in specific commitments by major U.S. corporations. So, Intel Capital, the venture capital arm of the international technology company, has released an immediate check of $ 200 million to invest in American firms, in addition to moving the program Startup America know-how on best investment practices. IBM will allocate 150 million this year to a fund to promote new partnerships and business opportunities in America. The list is long: Hewlett Packard fatten your online learning why companies moved their technological knowledge and education to owners of SMEs in order to increase their market niches; Facebook organized between 12 and 15 events this year throughout the country, within the federal initiative, in which engineers, computer scientists and prestigious academic formulas moved business to gain size, and 55 million Blackstone expands its programs to firms in higher education. The strong support not only America Startup firms. Business Network Technology (NFTE, according to its acronym in English) provide business education to students from low income households. Besides involving several of its partners into concrete plans. For example, the Pearson Foundation will build a digital platform for teachers that aims to be an online community for sharing ideas, collaboration and improvement of teaching methods, which not only can access the 5,000 associate professors, but the NFTE any teacher interested in the business world. Google, meanwhile, will sponsor two programs this network: one that stated, in real time, any doubts raised by local teachers to a group of experts from the association and another, for which this institution is committed to improving business , with courses in engineering and innovation, the curriculum of the candidates who so request. In parallel, the Obama Administration has begun to act on several fronts. In the budgetary field, with a proposal to make permanent the exemptions in the income tax for strategic investments in small businesses, in effect, on an interim basis since September 2010, or by creating new tax breaks and financial information about private capital flows aimed at SMEs in low-income levels. Similarly, the SBA, a federal agency for small businesses, will, for the next five years, a credit line of $ 2,000 million for investment in the private sector, otherwise than 1,000 million for projects that contribute to balance inequalities in some regions and a third, also of 1,000 million in support of technology companies that decide to cross the valley of death called up to the commercial grade. In addition to resources from the departments of Energy, to create a hundred new high-tech companies, Trade-to accelerate the placing on the market of technological instruments, creating new clusters of innovation and boost mergers, project that involved six agencies are federal-and the commitment of the Treasury to ease regulatory requirements on relief to small businesses that, together, totaled 5,000 million dollars. This battery-specific plans to which we must add sketches that are on the table for negotiation between the White House and Congress on technology in education quality, renewable energies, new funds and federal standards to spur innovation levels, raising highly skilled immigrants and the establishment of composite indicators to measure reliably the competitiveness in all EU Member States contrasts with the absence of concrete measures in the newly begotten Business Council for Competitiveness Spanish. The G-17 of the major Spanish companies, presented to society last month Moncloa just sent his first contribution to the recovery of Spain: his recipe to add flexibility to the labor market, the perennial Achilles heel that hinders productivity. A very scarce and anecdotal background compared to the arsenal of measures to boost competitiveness, name this select club that leads the U.S. Spanish-raised in unison from their public and private, with technology as a flag . 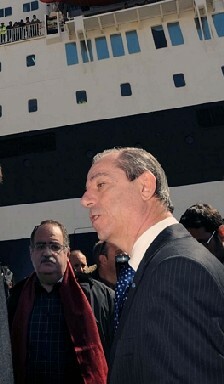 Although Spain has only two companies, Telefónica and Amadeus, among the hundred European (and 15 among 1,000) with increased spending on R & D that already in 2007, the last year of the fifteen uninterrupted prosperity, accumulated a two-year delay in meeting its objective of the Lisbon Agenda to dedicate 2% of GDP on R + D + i (one point less than their more advanced partners) in 2010, or that has not been able to include any company in the annual rankings of the World Economic Forum (WEF) which set the hundred firms to acquire technological potential in the medium term, the status of multinational companies that dominate American, European and major emerging markets. United States, however, has begun its journey towards the new economy, in its version 2.0, after a thorough examination of conscience to maintain unchanged despite global supremacy in labor productivity. This is attested by two reports, one of the McKinsey Global Institute, published in Foreign Policy, and one of The Conference Board, an institution of economic analysis related to the Federal Reserve. The latter found that this parameter increased by 2.8% last year compared to 1.6% in Europe, and managed to restore the pulse, even during the two years of recession and despite the marked decrease in the number of hours worked by the massive expulsion of active labor market. However, the warning signs of the study are clear and point to productivity rates of 8.7% in China, India 5.4%, 4% in Brazil and 3.1% in Russia. For its part, the consulting firm McKinsey calls for structural reforms not only SMEs but also for large companies. In particular, tax cuts in companies more freedom to hire foreign talent and reduction of bureaucratic obstacles. Not for nothing, "recalls this study," American multinationals totaled 23% of GDP in the private sector contributed 31% to the growth of the economy and the 41% productivity gains since 1990. Sharmin Mossavar-Rahmani, head of investment of private equity investments of Goldman Sachs, called attention, in a report entitled Stay the course on the competitive advantages of U.S. compared to Europe and other parts of the planet. And in particular, two. On the one hand, its market unit, which provides budgetary discipline to the problems facing Germany is to instill fiscal discipline in the peripheral economies of the currency area and the Federal Reserve policy, which began in early 2008 cuts types compared to the ECB's decision increasing the price of money a month before the bankruptcy of Lehman Brothers. On the other, its social fabric and culture of extracting various data: the immigrant population was responsible for 25% of new-tech companies and made in U.S. patents between 1995 and 2005, welcomes its universities to 57 % of foreign students who achieve post-doctoral degree in the world and its expenditures on R + D + i, estimated at 396,000 billion, accounting for 34.4% of the global total, only three percent less than the cost of Asia, including Japan, China and India. No doubt all this make more sense if Obama's words in his speech on the State of the Union, when he said, to call for increased competitiveness, improved technology infrastructure, a new leap in innovation and highly skilled workers from an educational system even more efficient to maintain its global hegemony, at heart, "this proposal is the same as the Americans have been doing the last 200 years, reinvent ourselves." * Ignacio J. Sunday is a journalist. 24/03/2011 12:30 zpeconomiainsostenible Enlace permanente. sin tema No hay comentarios. Comentar. COVERT OPERATIONS OF THE CIA IN LYBIE?. Covert operations of the CIA in Lybia?. The White House denied the president has signed an order authorizing the development of covert operations of the CIA. This initiative comes amid an intense debate between the White House, the State Department and the Pentagon on whether or not to arm the rebel forces, given the suspicions about them being linked to Al Qaeda Network, openly raised by senior administration officials. The White House declined through spokesman Jay Carney discuss "matters of intelligence," limited to ensuring that "there has been no decision about providing arms to the opposition ’in Libya. "Not ruling it out, but neither have approved," he said. The key to this uncertainty lies in the growing concern among a section of the Administration that a step of this caliber would deepen U.S. involvement in a civil war that neither you nor he is going with the difficulty that many of these fighters to which it is intended to help may have ties to al-Qaida. Although comparisons were not disclosed, the situation is so poisoned as when Washington opted to support other rebel movements in Angola, Afghanistan and Nicaragua, with disastrous consequences for peace and U.S. interests. The race to avoid a false move would only complicate the Allied strategy in the Arab country spends on intelligence agencies to identify the "ragged bands," as the military command called-to harass the troops and find Muammar Gaddafi some certainty that their ranks are fed by potential terrorists. With all the eastern region still become a sort of ’terra incognita’ in the eyes of the U.S., "the presence of Al-Qaida there is the greatest concern we have," admitted to ’The New York Times’ a representative of government. Just the day the artillery of the army in Tripoli successfully countered the insurgency advancing toward the city of Sirte, fears about supporting rebels huddled in Congress when the NATO military commander, Admiral James Stavridis, testified at a hearing that began to drive intelligence tests on the presence of al-Qaida and Hezbollah among the anti-Gaddafi. "Unfortunately, we have no clear idea about the opposition," said the senior official. Indoors, the Pentagon remains as the most reluctant to expand the scope of U.S. involvement. Especially once the U.S. has ceded the leadership of operations to the NATO structure. 31/03/2011 08:00 zpeconomiainsostenible Enlace permanente. sin tema No hay comentarios. Comentar.